The season is starting to get into full swing for the GS team. 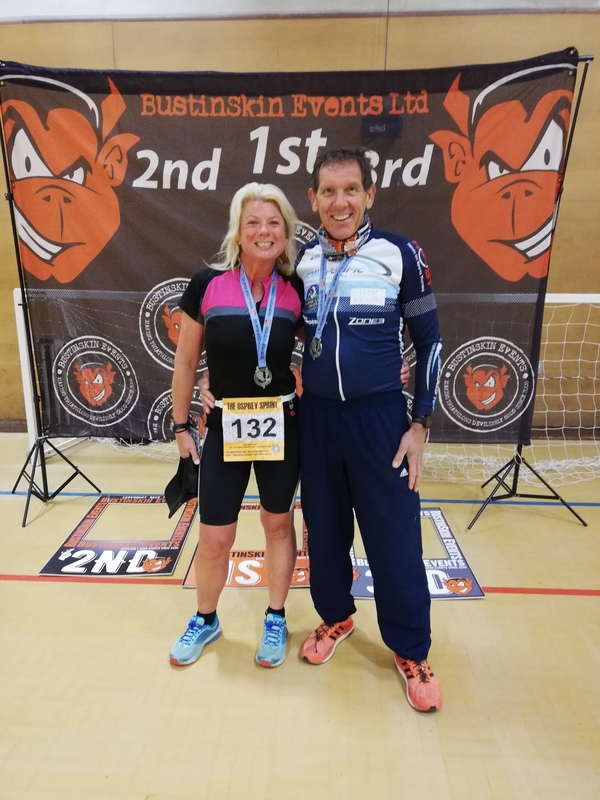 This weekend we had some of the juniors racing in Bath at the Southwest Duathlon Championships and at the more mature end of the age group spectrum Eric and Richard were going head to head in the over 60s category at the osprey sprint. 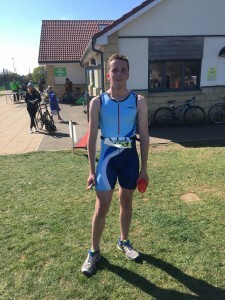 Fresh from a bit of friendly banter at our recent swim video analysis session, Eric and Richard once again did battle at the osprey sprint with Eric looking to close the gap on Richard who is in fairness is only just back in training after an enforced lay off. Eric struggled a bit in the swim but from then on it was pbs all the way for this course with Eric 3mins quicker than he was at this time last year and Richard 2 mins quicker and just edging it by 20sec! Great racing from both and set up well for bigger races to come. Suzanne was also on the start line for the Brighton marathon and raced brilliantly smashing her previous time in this race by a whopping 1hr10min! And in some cold and windy conditions – fantastic performance. 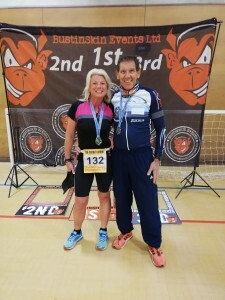 Finally, Marta was out on her bike in the new forest sportive missing out on a gold categorisation by just a few secs and demonstrating how far she has come in a very short time.